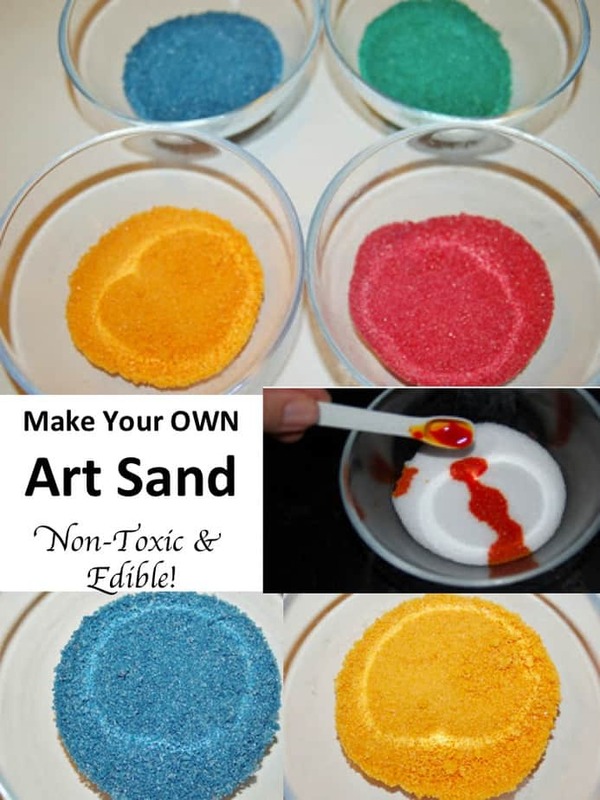 Do you know how EASY it is to make your own art sand? YES! It’s THAT easy! We’ve made tons of this in the past – simply store in a sealed bag or tupperware container and you’re all set to make all sorts of colors and shades! It’s great to experiment with! I love trying new things, especially when I make them cheaper than I can buy them. I immediately got to work to try this recipe!! 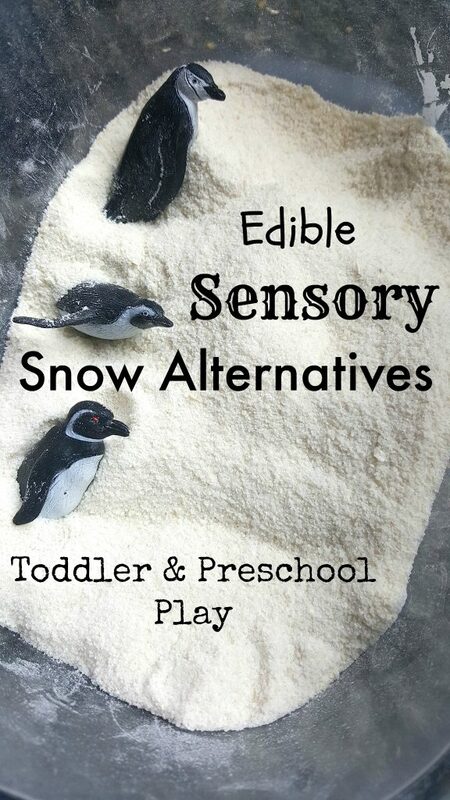 It IS non-toxic and edible which is perfect for toddlers or children with special needs HOWEVER as it is primarily comprised of salt I cannot imagine that it would taste very good! But unless your child really guzzles the container of salt this is a good recipe for young children and children with special needs that may be inclined to eat their art supplies. Pour 1/2 cup of salt (I used iodized table salt) into a dish or container. I wanted to try four colors so I set everything out that I needed to get started. Pour 1/4 tsp. of desired color in one container of salt and mix until the salt is completely covered evenly with the food coloring. I used a fork to mix my colors which worked well. Pretty isn’t it? Now you’ll need to place one large sheet of aluminum foil over your baking sheet or pan. Cookies sheets work well for this! Spread your colored salt out onto the aluminum foil covered baking sheet and spread it as thin as you can get it! The moist salt will need to dry out in the oven so the thinner you can spread it the better. Bake it in your oven at 350* F for 10 minutes. Once your batch of colored salt has baked for 10 minutes take it out of the oven. When it has cooled off you can pour it into the appropriate storage containers! It will store for several months in an airtight container. Now that I realize how incredibly simple and inexpensive it is to make your own art sand I will be making ours homemade in the future instead of purchasing it! 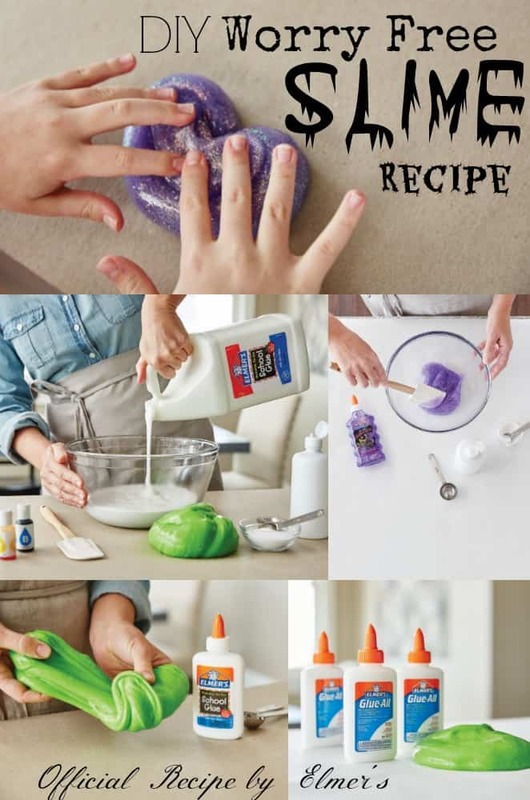 You can use this with glue, crafts, throw it in your sandbox, or even make sand art gift bottles! **You can also use actual sand to make this craft which you can find at the beach or purchase in 50 lb. bags from Lowe’s or Home Depot for about $3. 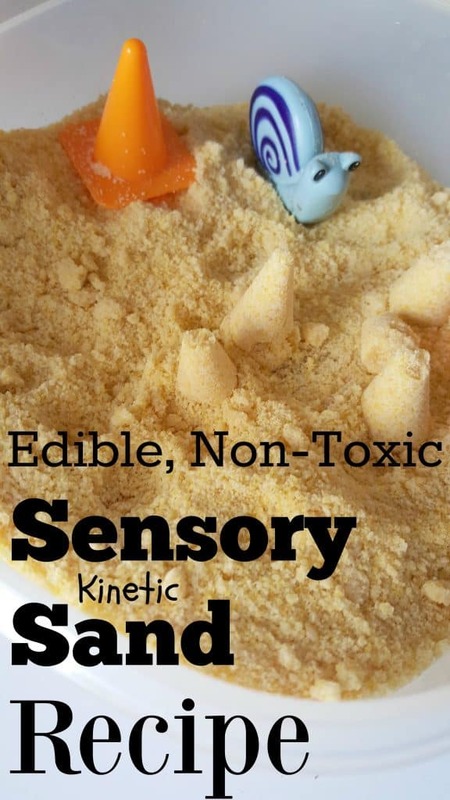 If you use sand instead of salt, however, I cannot verify that it is non-toxic or edible! Also make sure you get specific playground sand which has less irritating inhalants! love this! I'm so going to do this with the family. Pinned it to my boards! love this will try to do with my son. this may sound stupid but where do u get the dyes. I'm sorry! I guess I should have made that a little more clear! 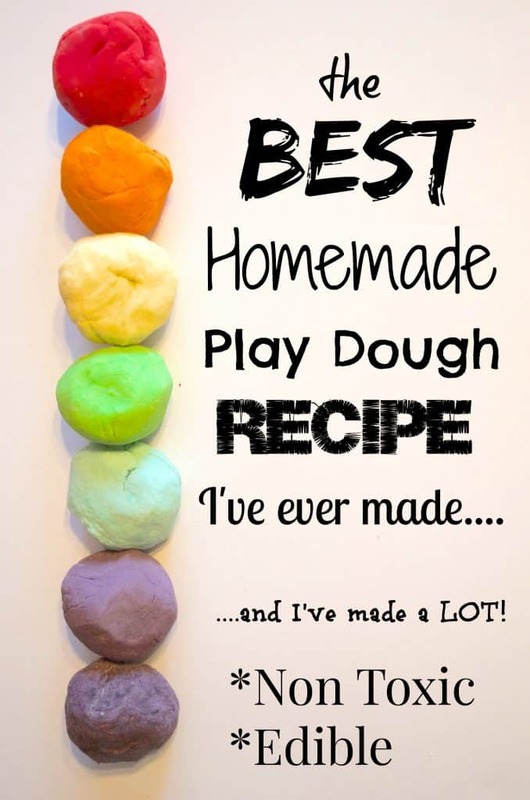 :) I just use food coloring from the grocery store in the baking section! great idea! The sand is pricey @ the craft store. Thanks for sharing! I made some colored salt with my girls a little over a year ago. I didn't think of drying it in the oven. Thanks for sharing. I am pinning this. I will keep this in mind if I need a craft for my grandchildren. I also like pudding finger painting. Awesome! I am always looking for easy, cheap craft ideas for the kids. They will love that they get to color the “sand” and not just use it! Thanks for a great post. Some friends of ours built an outdoor sandbox for their kids under the balcony at their house. My daughter talked about it all the time. So DH bought one of the last of those little plastic wading pools of last summer and about 300 lbs of sand (which just filled it). Love the idea of making small batches with salt, though. Following from Thirsty for Comments Thursday at Acting Balanced. A great craft idea! Look forward to seeing you again next Thirsty for Comments Thursday. Fun!!! Thanks for linking up at Pinspiration Monday! Love this, with all the snow where I’m at a little sand would brighten the kids day!!! Thanks, Visting from SITS link!! Will the colored salt be permanent? I am making a bottle lamp and am wanting to layer sand in the bottle, so I need to know if the color will fade after time. HM good question! It should be permanent but I’ve never tried it!